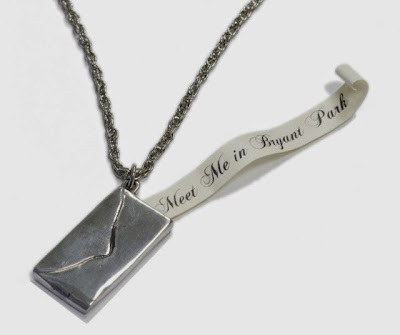 We've got a deal for our Mother's Day shoppers this year: the first five people who buy our "Meet Me in Bryant Park" envelope pendant receive a free anniversary tote. If you need any other ideas for mom, be sure to visit our online shop and browse Bryant Park T-Shirts, film festival blanket, home decor (including our vintage bistro tables and chairs), commemorative chair plaque, or even our 'wichcraft gift certificate or cookbook. 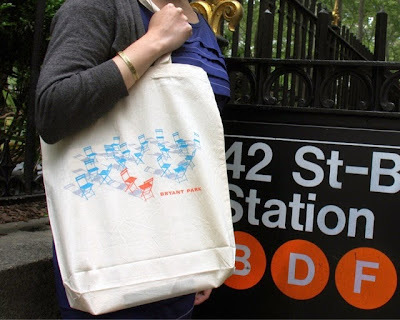 If she's a fan of Bryant Park, you'll definitely find something special for her in our shop!